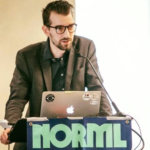 At the state level, Vermont’s marijuana legalization study committee will hold a series of public meetings to receive public input ahead of finalizing its report. Details can be found here. Four New York Assembly committees will hold another joint hearing on marijuana legalization next Monday December 3 on Long Island. Details can be found here. Alaska regulators will hold a public hearing and meetings from December 19-21 to consider on-site marijuana consumption and other cannabis issues. Details can be found here. Michigan’s State Board of Canvassers certified election results on Monday, setting up marijuana legalization to go into effect next week on December 6. Separately, the legislature’s Joint Committee on Administrative Rules approved permanent medical marijuana licensing regulations which allow home delivery. Connecticut Democratic lawmakers are including marijuana legalization in a list of so-called “Big Five” issues they plan to prioritize in 2019. If you’ve ever ordered a car from Uber or a book from Amazon, navigating your delivery of a pack of Lowell Smokes from Eaze is a no-brainer for anyone with a smartphone, as I found out recently. Just go to Eaze.com, set up a user name and password, take a photo of your California driver’s license (or registered ID) to prove you’re 21, submit credit card information and you’re off to the races. 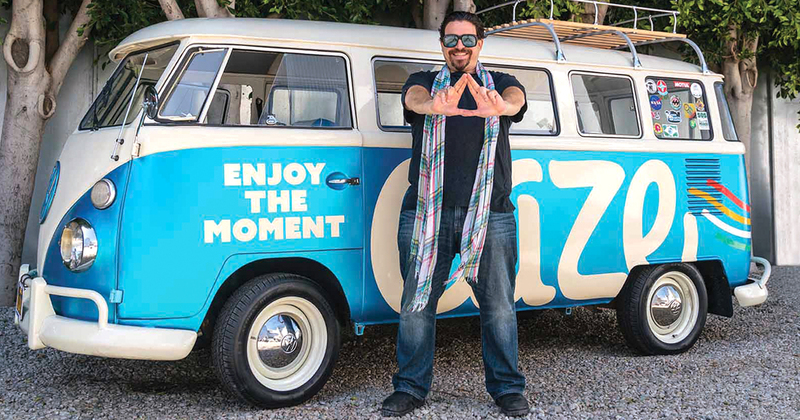 The Eaze menu is clean and uncluttered, with a wide variety of flower, pre-rolls, tinctures and oils, all from least expensive to most, left to right. Like any other commerce site, you add items to your cart, then check out. Any purchase over $50 has no delivery fee; anything less carries a charge of $5. The prices are competitive with licensed brick-and-mortar dispensaries, though the addition of the required 9.5% sales and statewide 15% excise taxes pushes the total of my two Biscotti Singoli hash-infused pre-rolls ($40) and one LoudPack Kosher Kush preroll ($12) to $69.86 with the $17.86 surcharge. In the U.S. Senate this week, it was announced that Senator Chuck Grassley (R-IA), Chair of the Judiciary Committee and long-time prohibitionist, is stepping down from his position. As Chairmain, he refused to hold any hearings or votes on marijuana related legislation. At the state level, Michigan’s new legalization law goes into effect on December 6, which is when adults can start legally possessing and growing marijuana for personal use. 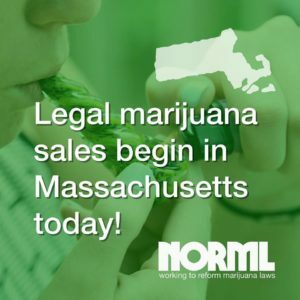 Massachusetts’ recreational marijuana sales began this past Tuesday. Connecticut Gov.-elect Ned Lamont (D) said that legalizing marijuana is one of his “priorities” in 2019. The Senate president said it would be “pointless” to keep cannabis illegal when neighboring states are ending prohibition. Lawmakers from both parties say legalization is likely in 2019. Vermont’s Senate president said he expects a bill legalizing marijuana sales to be finalized by early January. At a more local level, Washington, D.C.’s attorney general said he supports legalizing marijuana sales if a congressional block is removed. The Jackson County, Missouri prosecutor announced that her office will stop prosecuting most marijuana possession cases. Kalamazoo County, Michigan’s prosecutor is also dismissing marijuana cases. The Door County, Wisconsin Board of Supervisors rejected a proposal to place marijuana advisory questions on the April 2019 ballot. MJBizCon broke cannabis conference records last week with 27,600 attendees (up 51% from last year) and 1,027 companies (up 38% from last year) exhibiting on the Las Vegas Convention Center floor. Freedom Leaf had a large booth that housed our affiliated companies: Hempology, Irie CBD, AccuVape, Plants to Paper and Leafceuitcals Europe. Following the successful three-day event, the organizers announced that next year’s MJBizCon in Las Vegas will expand to five days and move to December 9-13. “The City of Las Vegas and Clark County have officially proclaimed the debut of ‘MJBizCon Week’ surrounding the annual MJBizCon Conference & Expo beginning in 2019,” they stated. Like SXSW – the music, film and interactive festival in Austin in March – MJBizCon Vegas will become a weeklong event with many nightly parties worth attending. This year’s best parties included Willie’s Reserve, High Times Biz Bash (featuring a performance by 2 Chainz at Brooklyn Bowl), Grasslands and Cannabis Wonderland. Citizens of the Bay State have much to be thankful for this week. On November 20th, just two days before Thanksgiving, adults over the age of 21 were able to legally purchase marijuana in the state of Massachusettes. 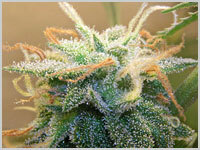 Massachusetts was the first state to implement anti-marijuana laws on April 29th, 1911. On the very same day, Representative Joe Kennedy III, a longtime marijuana prohibitionist, published an essay that documented his evolution of thinking when it comes to cannabis and his new position of supporting reform. We have much to be thankful for this year. 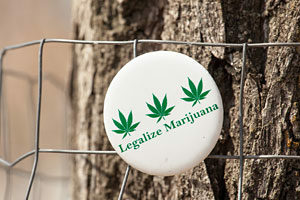 Lawmakers in 22 states have passed legislation to advance cannabis reform, Vermont became the first state to end marijuana prohibition legislatively, the Northern Mariana Islands Commonwealth became the first US territory to pass a regulated marijuana marketplace, and four states approved voter-initiated ballot measures that legalized adult use (Michigan) and medical marijuana (Oklahoma, Utah, and Missouri). Additionally, polling data continues to show improved gains in public support for legalization nationwide, with most recent polls revealing that majorities of Democrats, Republicans, and independents support ending our failed prohibition. This progress did not come out of nowhere, nor did it come overnight. Our successes are a result of years of diligent organizing and difficult conversations with our fellow citizens about the role of government, law enforcement, and civil liberties in our daily lives. We need to make sure that we take every opportunity available to further advance the cannabis conversation. The upcoming holidays provide an ideal venue for these conversations. Look, we know that political arguments are going to happen at the Thanksgiving dinner table, so why not make it about marijuana? While many Americans disagree about other key issues facing our country, there is so much common ground between those who identify as conservatives, liberals, independents, and everyone in-between when it comes to marijuana policy. One of the US Senate’s leading marijuana prohibitionists, Iowa Republican Charles Grassley (IA), will no longer be heading the Senate Judiciary Committee in the 116th Congress. Representative Grassley announced today that he is stepping down as Chair of the Committee. As Chair, Grassley refused to hold any hearings or votes on marijuana-related legislation, including bipartisan legislative efforts like the STATES Act. Virtually all Senate legislation specific to marijuana policy must pass through the Judiciary Committee. 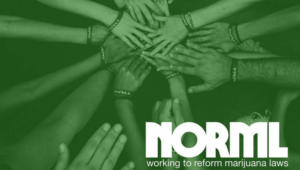 Representative Grassley received a D- grade on NORML’s 2018 Congressional Scorecard. Next in line to Chair the Committee is Republican Lindsay Graham (R-SC), who received a C grade from NORML. Representative Grassley’s decision to step down follows the retirement of House Judiciary Chair Bob Goodlatte (R-VA) and the failed re-election bid of House Rules Chair Pete Sessions (R-TX) – both of whom similarly used their powers as Chair to stifle any legislative debate on marijuana policy. U.S. Senate Majority Leader Mitch McConnell (R-KY) issued a “guarantee” that hemp legalization will be in the finalized Farm Bill. “If there’s a Farm Bill, it’ll be in there, I guarantee that,” he told reporters. Congressman Seth Moulton (D-MA) has introduced a series of bills aimed at addressing the therapeutic use of marijuana among veterans. At the state level, Utah lawmakers are expected to consider a compromise medical cannabis bill during a special session beginning December 3. 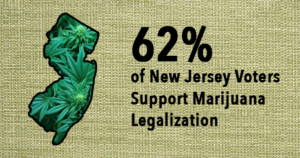 New Jersey’s Assembly speaker and Senate president said they expect committee votes on legalizing marijuana by the end of this month. The Republican Assembly leader said legalization is “inevitable.” And a key state senator who was once opposed to ending prohibition is now expressing support. A spokesperson for New York Gov. Andrew Cuomo (D) said the governor plans to “introduce a formal comprehensive [marijuana legalization] proposal during the 2019 legislative session.” A New York senator said she believes Cuomo and lawmakers will legalize marijuana in the state via the 2019 budget.